I’ve started, and subsequently abandoned, several blog posts over the last two weeks. One was on the recent killing of six wolves (three were pups born in April) thought responsible for sheep depredations on Flat Top Ranch. The Idaho Department of Fish and Game (IF&G) offers no apologies for their actions, although if sheeper John Peavey’s requests had not been met to have the wolves taken out, I’m sure apologies would have been spewing. I recently learned of the clout Peavey holds in Idaho. He was a long time senator who comes from a family of powerful politicians. In 1994 he ran against Butch Otter for lieutenant governor. Otter won, and we all know what happened after that. Annually, Peavey receives more in federal farming subsidies than many Americans make in a year. Read more about this in a 2011 post from The Wildlife News, when three wolves were killed due to losses on Peavey’s ranch. Another post I started was on the Wedge pack battle brewing again in southeastern Washington state. I re-read my writing on this subject from last September when six members of the Wedge pack were lethally removed by the Washington Fish and Wildlife (WF&W). I reviewed my interviews with Bill McIrvin, son of the infamous Len, and with a couple WF&W staff members. What I heard from WF&W back then was that they were going to do their best to prevent future problems between wolves and livestock on the Wedge. I thought about calling the department to see what exactly had been done, but to be honest I wasn’t in the mood to hear the same propaganda again. As difficult as it is to prevent depredation in the Wedge area, we know from reliable sources that solutions exist as long as ranchers are willing to change their practices and be open to coexisting with predators. If lethal removal of wolves was not such an easy option for the McIrvins or the Peaveys, perhaps they would be more amenable to change. I realize now, in the quiet of my home in the woods, a bald eagle soaring above, that the main reason I didn’t complete those blog posts was that I have reached my saturation point on the cruelty that surrounds me, particularly that which is being invoked on wolves. Nature, in its constant drama of eat or be eaten, is by design cruel at times, but humans have a choice. Yet some refuse to acknowledge this choice, using one excuse or another to legitimize their abhorrent behavior. I imagine we would hear a lot of denial if the above quote were read to those hunters, trappers and ranchers, even state and federal officials, who torture and kill wolves with traps and guns. Len McIrvin wants them poisoned, asking for a return to an era when not only the target predators suffered horribly from the liberal use of these toxins, but thousands of other animals as well. What would they say? 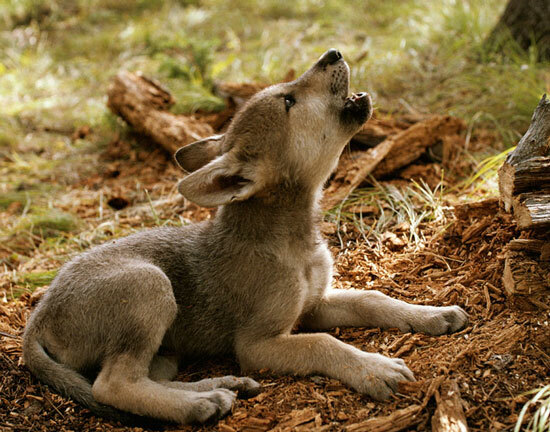 Wildlife Services and the various state Fish and Wildlife Services, some of which show a decisive prejudice against wolves, would cite statistics (their sources not always credible) and make a convincing argument of their essential role in regulating the natural world. In my opinion, these folks have way too much power. I think of the public meeting I attended in Washington last year when the WF&W department spent hours defending themselves for the slaying of the Wedge pack. 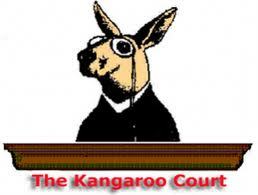 The proceeding was nothing but a kangaroo court. The WF&W staff pretended to listen to the many advocates who spoke up in support of the Wedge pack, but their minds were made up and they had the power to do exactly as they wished. I can hear the trophy hunters now, echoed by the trappers, ranting on about their right to bear arms and use them. One’s right to kill for pleasure holds no credence in any era, but especially not now with the scarcity of wildlife. Yet with the backing of the NRA, Safari Club International and others, trophy hunters invariably get their way. What a sad way of life this is, encouraging the young to persecute and annihilate innocent animals. This goes against everything most children are, innately sensitive and gentle toward other creatures. Look at the deep and meaningful connection between kids and their dogs. In order to trap or pull the trigger on the wild cousin of their pet, children must be forced to dissociate from their spiritual selves, the part of them that abhors the destruction of an animal as magnificent as the wolf. The young hunter knows the animal in his sights won’t be used to feed his family, nor will the thick coat be used to keep anyone warm. 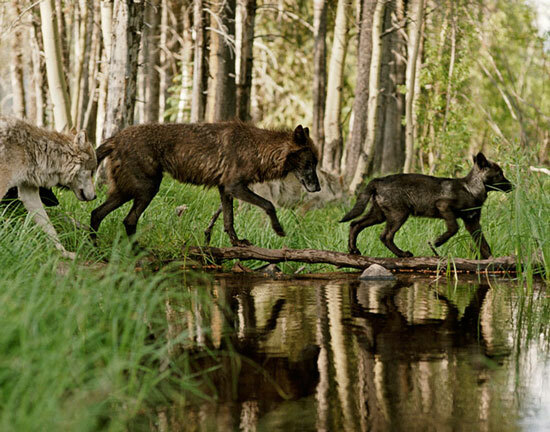 But with dad watching and urging him on, the kid, afraid to speak up, will most likely shoot the wolf. Thus the pattern is set and a destructive way of life carried on. And then there are the ranchers, the ones who refuse to acknowledge that lands are not only theirs but shared by wild creatures as well. I imagine their justification for cruelty would speak of their own needs, especially financial. Although able to graze their animals on public lands for a paltry sum, some livestock producers still feel the world owes them a living. 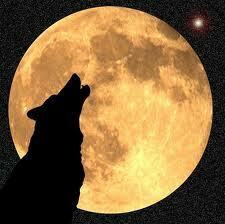 But personal finances simply cannot dictate the well being of a species, not wolves, bears, cougars, coyotes, etc. There is much more at stake here than financial security. Yet the greater good is a concept lost to many. It needs to be revived, preached in churches and taught in schools. Our fears over money has created a world that thinks of little else, not about each other, certainly not about the environment and its creatures. Right now, the darkness feels pervasive, yet it brings to light the overwhelming truth that surrounds me. Blatant cruelty is being masqueraded as a need for resource management, to keep people in business and to justify a pathological desire to torture and maim. And this is being done legally, due to the very vocal justifications of some powerful people. Think I’ll check out for a while, watch the deer bed down in the little valley below my home, the full moon lighting their way. Maybe I’ll join them and imagine, for just a little while, that the world is at it should be, run by its own natural rhythms and rules, rather than by the cruel and controlling mentality of man. This entry was posted in Idaho wolves, Uncategorized, Wolves and tagged Bill McIrvin, Diamond M ranch, Flat Top Ranch, grey wolf, John Peavey, Len McIrvin, Wedge pack. Bookmark the permalink. Here here Beckie! You hit the nail on the head again. But the wolf situation in Oregon shows that if a strong unyielding resistance to the kind of cruelty and willful ignorance you describe above is maintained, change can happen. The states of Washington and California have the same political orientation as Oregon, and it’s a damn shame that the fortitude shown by Oregon conservationists was lacking in Washington. Let’s hope the recent petition filed by Cascadia Wildlands, The Center for Biological Diversity and others will have the same result in Washington as did a similar suit in Oregon, and all praise to those organizations and individuals involved. Also in Oregon, the drive to outlaw fur trapping and better regulate “management” trapping is expected to result in a successful voter initiative in 2014. If this is accomplished, California, Oregon and Washington will all have barred this brutality, perhaps becoming the “Humane Coast,” a standing rebuke to those states which continue to support such ugliness, and an example to follow. Your words are painful to hear and to acknowledge, but so very true. Each time I stand before FWP here in Montana and speak out against the cruel policies they levy against the wolves and other predators (but esp. the wolves), these words echo in my mind. I have said many of the very same things. Children are the hope (or destruction) of our earth and all the beings that inhabit her. It is our responsibility to do everything we can to help shape their attitudes of not only sharing this planet with others, but of their respect of all animals. Thank you for writing these heartfelt words. Obviously written from deep in your heart. Many of us have had enough of animal cruelty…..thanks for writing about it. Nice post, Beckie, thanks. I fervently hope that someday you and all of the other wonderful people who defend wolves and other wild creatures will recognize that compassion should be extended to ALL animals, including those deemed “food.” In the developed world, vegans leave the lightest footprint on the planet. I’ve been a vegan for thirteen years, for animals, for the environment, and for my own health. For those of us who truly care about the planet, it’s a wonderful way to live. Take care, and take heart. Nicely said. I have been trying to write the definitive blog on this subject but you certainly have taken that pressure off me. I was not aware of Peavey’s clout…this answers a lot of questions. I am impressed with the way you handled this hot topic and the demonstration of fact-finding that should leave no doubt in the mind of any thinking, compassionate person. Those folks with the guns though are a different matter. So so true. It’s hard to even read the latest wolf news these days. I thought maybe, just maybe our testimony at the WDFW meeting earlier this year would save the next Wedge Pack from the same fate. Guess I was mistaken. And now our wildlife commission lost its wolf advocates replaced by people who “harvest” fish and wildlife and will likely be happy to see wolves go. Guess our liberal governor isn’t quite so liberal. Thank you to Cascadia Wildlands and others for the lawsuit. I see the ragged bodies, skin of fur bearing animals draped over barns, trucks, and on the ground, knowing that this assault is final. Extinction of species is not the only consequence, but the total destruction of a balanced biodiversity that can not be replaced. Species and environments on the edge, and a few people control this disaster and destruction. It is especially distasteful to acknowledge that the United States government is complicit now as it was when Buffalo Bill, the murderous criminal killed 4000 buffalo from a moving train. America is a managed park, there is NO wild left. Thats why I particularly enjoy that production after the disappearance of man, because I believe that’s what it will take to leave a space for animals to live in freedom and peace. The attitude of this society is so wracked with violence, that the killing, and sadistic torture of animals is only one sick and twisted aspect. Our society needs to change in its entirety to save the wild, whats left of it. Len and Bill McIrvin and John Peavey ought to have their herds aerial gunned in retribution for the evil that they’ve done. Thanks, Beckie for sharing this unfortunate and sorrowful truth about the killing of the wolves. “Our fears over money has created a world that thinks of little else …” I think this is why our advocacy might benefit from expanding beyond a direct discussion of animal issues (though we still need to talk about this, of course) to an attack on materialism and hedonism. Because those two things are really at the root of the problem. And it has to be more than just the ranchers that feel the burn, if you will … chances are we’ll all have to give up something we like to see real change, whether it’s cheap burgers or gas-guzzling road trips or time spent playing video games and watching the latest reality show. It’s easy to blame the big killers, but they are enabled by a combination of consumer demand and apathy on the part of those who might oppose them. Good thoughts. It’s difficult to understand why people become so entrenched in their lifestyle that they can’t consider viewpoints such as yours. It may be cold comfort, but comfort nevertheless to know there are a few out there who feel the same sadness when we see this kind of treatment of the dwindling wildlife near us and around the globe. Thanks for posting. Well done again, Beckie!! Hit the nail on the head! (p.s. I tweet out all your blog entries). Great way with words and the personal comments make your entry more heartfelt. Thank you!! Interesting. Why do people opposed to the ranch lifestyle move into ranching areas? When the McIrvins moved to their ranch, ranching was not an easy way of life, and no one moved out there if they were opposed to the lifestyle. So, why did you move there?